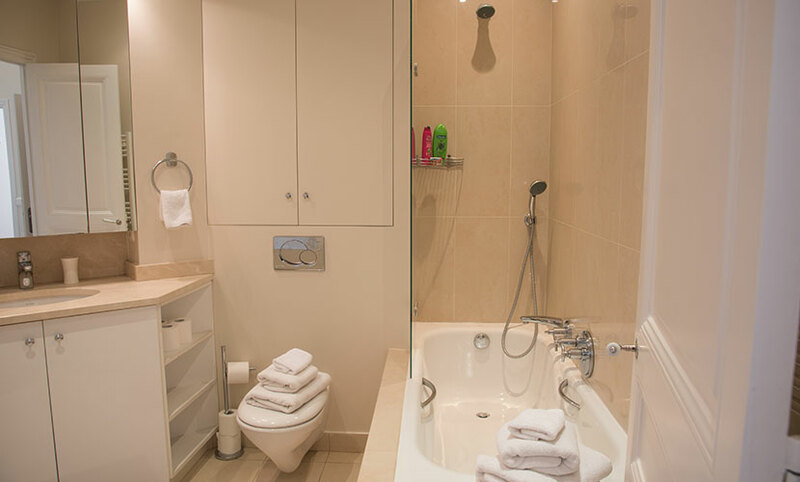 "Our family of five adults loved everything about our stay with Paris Perfect. We took advantage of the service with Victor at the airport which made it so easy. At the apartment we were greeted with..."
"Greeter was on time and efficient. Perfect location, building and apt are clean. Apt is functional and reasonable quiet. Bar stools and dining chairs need a refresh. We will return." 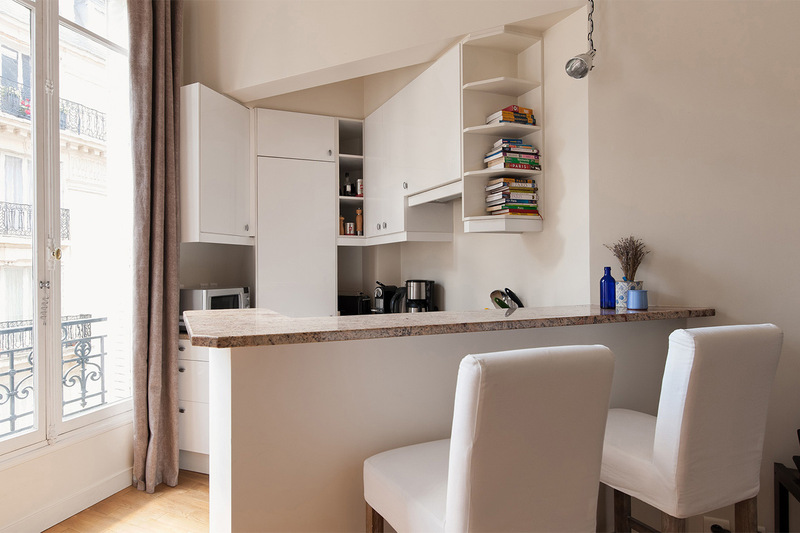 "Lovely apartment in epicenter of St Germain. Excellent access to subway stop with many, many other sights within walking distance. I've honestly lost track of how many apartments we've rented through..."
"A wonderful, safe location! One can get anywhere in Paris via the metro across the street and the bus stops just down the street. The washing machine and dryer were a real plus. 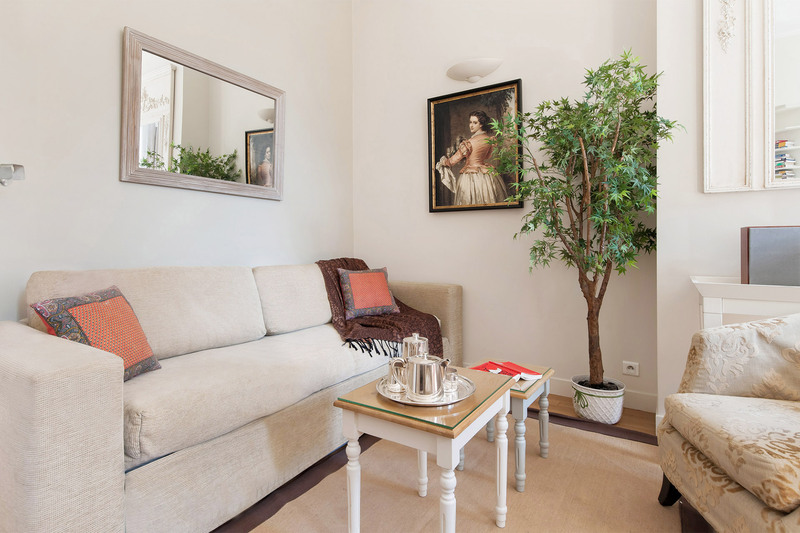 The air conditioning..."
"We had a wonderful stay at the Corent apartment. This was our first trip to Paris and hopefully will not be our last. The apartment was just perfect. 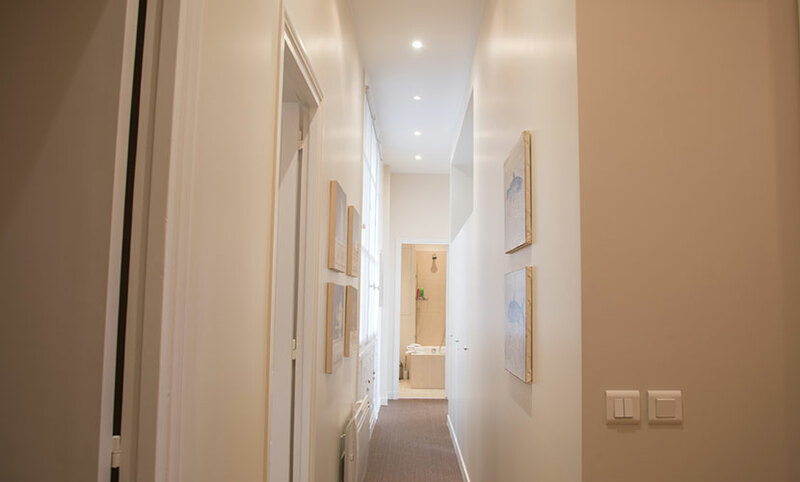 It was in a nice neighborhood, close to the metro..."
Our gorgeous Corent apartment is an impeccably remodeled and comfortable 2 bedroom, 2 bathroom apartment situated in the heart of the Left Bank's 6th arrondissement. Located in a classic Paris building, this Paris Perfect apartment features soaring ceilings and large windows overlooking a tranquil residential street. 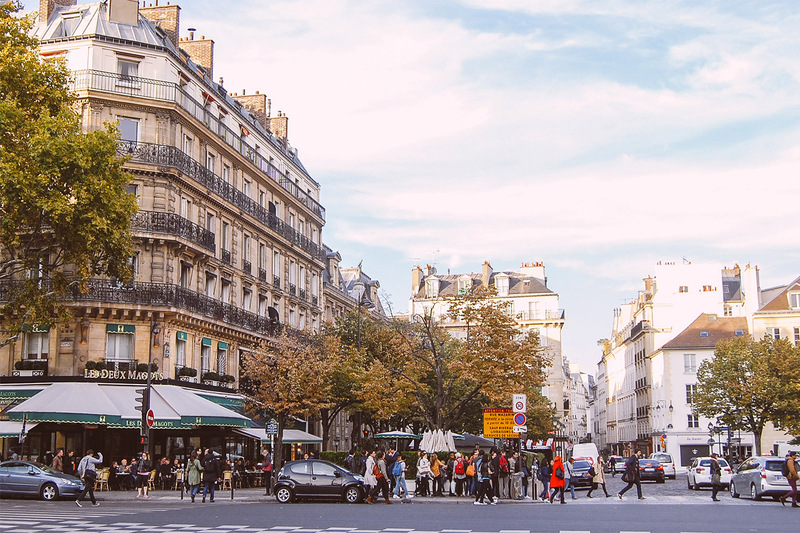 Discover the best of the 6th arrondissement, including the wonderful shopping on Paris' famous rue du Bac. Whether you are window shopping, enjoying one of the many outdoor cafés or relaxing in the spacious living room, you'll find the Corent is the perfect setting for enjoying the very best of the Parisian lifestyle. Security: Excellent. There is a digicode panel on the street door; a locked inner lobby door and the apartment has a steel reinforced door with special security lock. We have also installed a safe for your valuables. Televisions: Flat-screen TV in the living room and second bedroom; CNN and other English news channels available. We hope you had a wonderful stay in our Corent apartment. Please take a moment and click here to share a review of your experience with us. 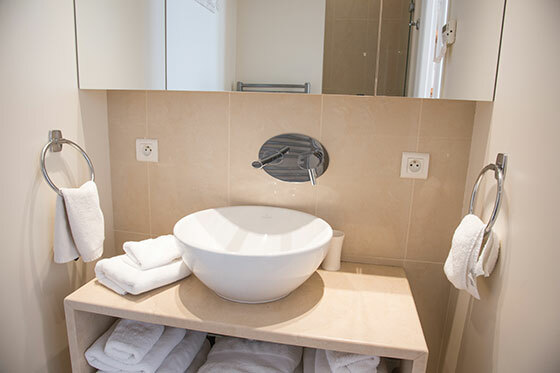 "Our family of five adults loved everything about our stay with Paris Perfect. We took advantage of the service with Victor at the airport which made it so easy. At the apartment we were greeted with the keys, a WiFi hotspot (worth the charge) and an explanation of how everything worked in the..."
"Lovely apartment in epicenter of St Germain. 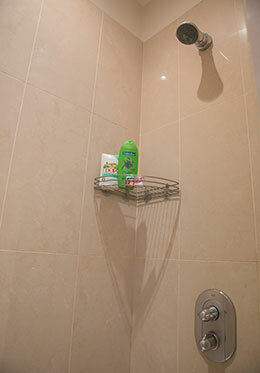 Excellent access to subway stop with many, many other sights within walking distance. I've honestly lost track of how many apartments we've rented through Paris Perfect; the experience is always highly satisfactory, professional and efficient. We'll be..."
"A wonderful, safe location! One can get anywhere in Paris via the metro across the street and the bus stops just down the street. The washing machine and dryer were a real plus. The air conditioning was a real help with temperatures hitting 95F a day in Paris! 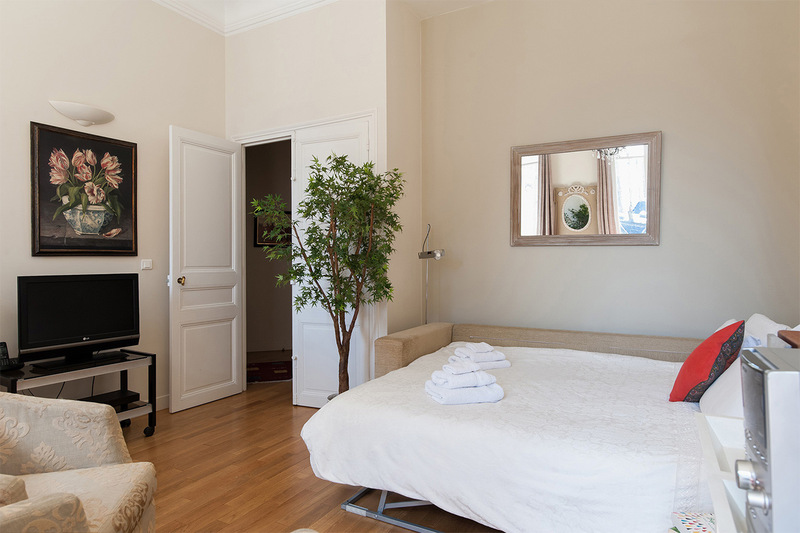 All in all, it was very comfortable..."
"We had a wonderful stay at the Corent apartment. This was our first trip to Paris and hopefully will not be our last. The apartment was just perfect. It was in a nice neighborhood, close to the metro and contained everything we needed. Our group of four ranged from age 22 to 80 and the..."
"We enjoyed a wonderful week at the Corent apartment in early December. We had 4 adults in our group and the apartment felt spacious, yet cozy. The location was perfect and we were able to walk everywhere. Victor's Taxi service picked us up from the airport promptly and transprted us to the..."
"We experienced the wonders of Paris during our first European vacation at the Corent Apartment. 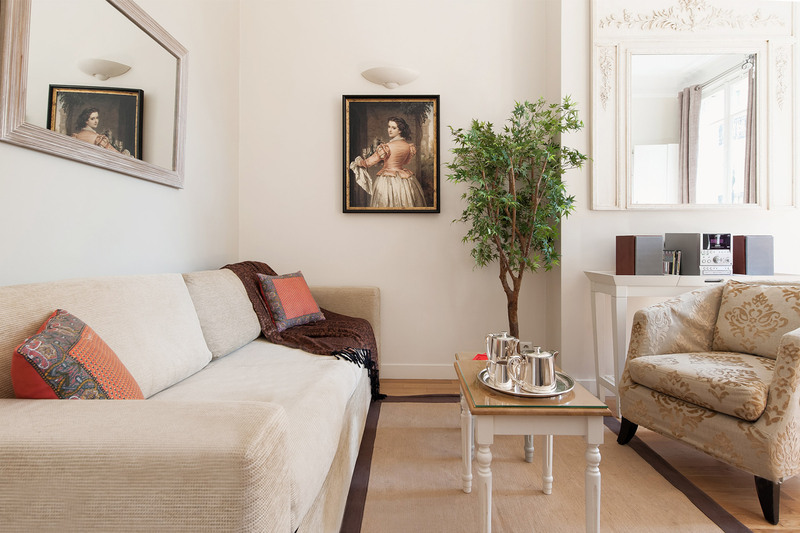 Centrally located near all the major Paris sites, this apartment was very spacious, comfortable, efficient, and provides an elegant residence to experience the "local" Paris life. 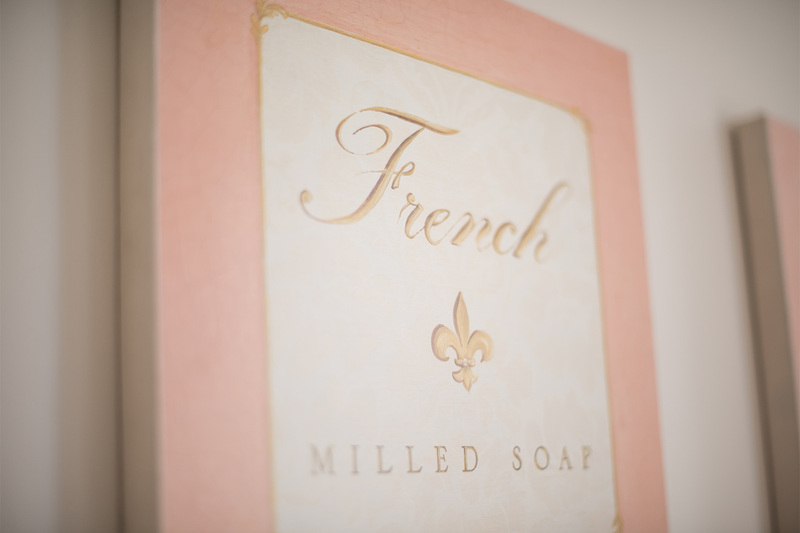 I will..."
"We had a wonderful time in Paris and will gladly fill out your online survey shortly. We loved the apartment and hope to go back soon. Joseph was wonderful at showing us everything when we arrived. Victor was also very good and gracious transporting us between CDG and Paris. I will personally miss..."
"Excellent apartment, comfortable, clean and well located. Welcomed on time. 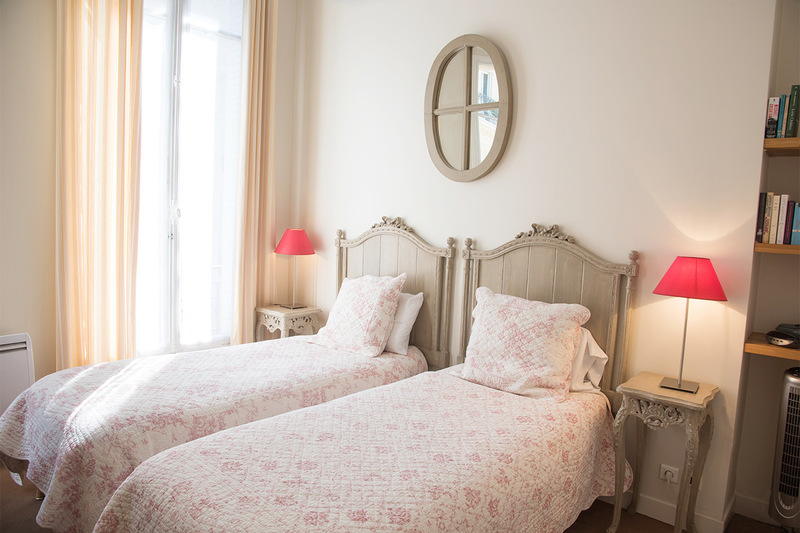 Would definitely recommend and stay here again when in Paris." "We had a fabulous time staying at the Corent. 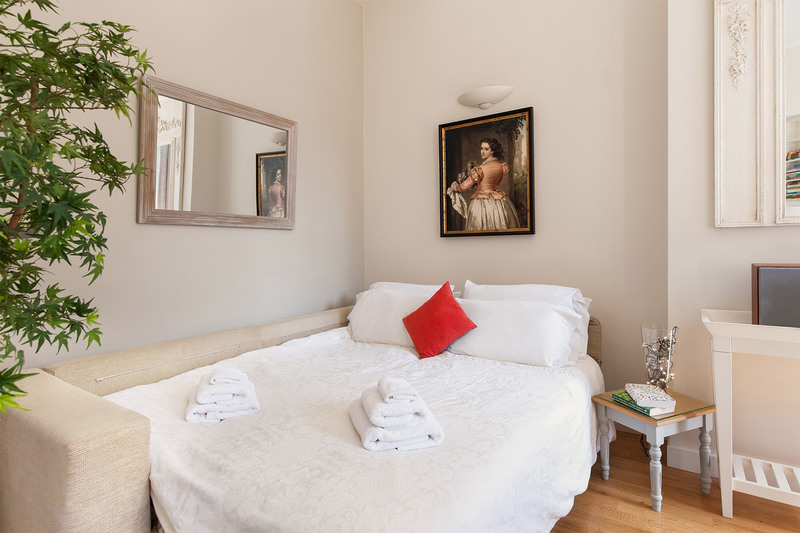 It is a great location very close to the Musee D'Orsay, the Louvre & the Seine. We used our bus stop by Le St. Germaine restaurant to travel to the Eiffel Tower several times, and ate at the St. Germaine too. 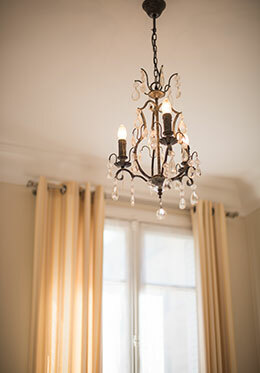 We also used tours for the champagne..."
"We stayed 6 nights at the Corent apartment in the Saint Germain area of Paris. It was perfect. The apartment was exactly as advertised. We arranged taxi pickup at the train station through Paris Perfect, and our driver was waiting for us at the end of the platform. As he took us to the..."
"The Paris Perfect staff was wonderful in helping us locate an apartment so we could visit our new granddaughter in Paris. It even went out of it's way to help us find one on the same metro line as my daughters apartment! Corent fit the bill perfectly. When we extended our stay and the Corent..."
"Thank you to our greeter Joseph, who was so helpful getting us situated. 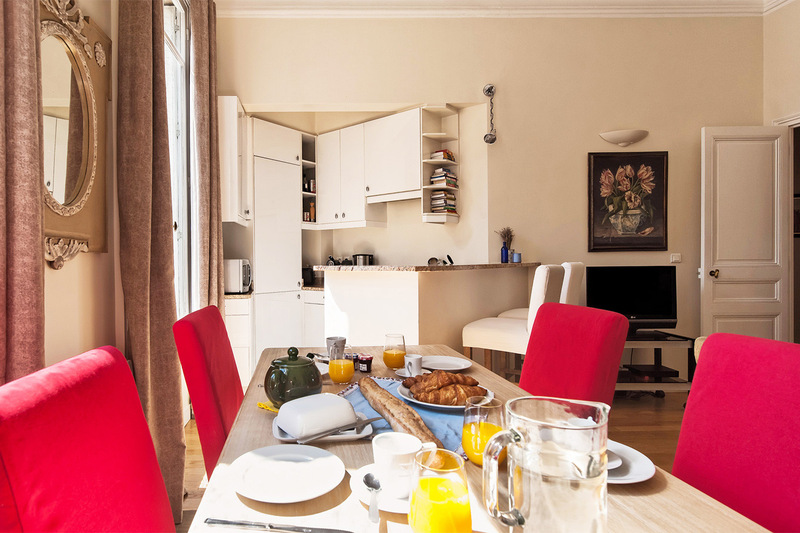 The Corent apartment was very convenient for us and made our visit to Paris much more fun." "We had a wonderful time in Paris. The Corent , where we stayed, was in the absolutely perfect location. Walking distance to a wonderful restaurant, St. Germain, across the street from the Metro, next door to a Pharmacy , and an ATM, a 1/2 block from a cab stand, around the corner from Blvd. St...."
"This was the most amazing place to stay. I am convinced that it is the best location in Paris. Well done Corent! When we come back to Paris, I'm sure we will request Joseph and the Corent!" 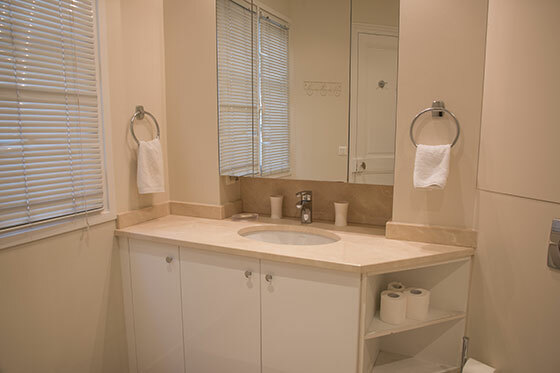 "We very much enjoyed our stay, and the apartment, and hope to use Paris Perfect's services in the future. 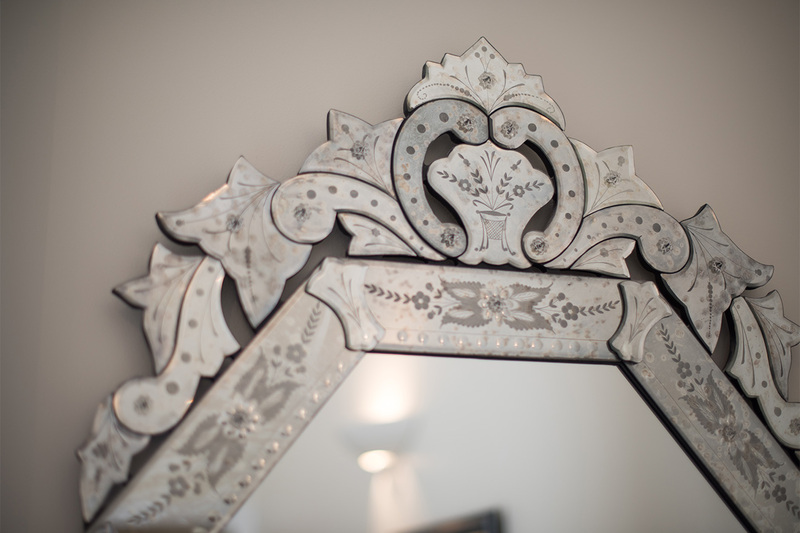 The apartment is wonderfully located, charmingly decorated, and very comfortable. I'm only sorry that I could not stay longer. To remind me, I've added to my screensaver a picture of the..."
"A wonderful 6 days which flew by! thank you to Joseph and the Corent for making our stay wonderful. The apartment was centrally located for walking, stores nearby, easy bus and metro access. We are traveling with our two daughters and found the apartment a perfect space to hangout after long days..."
"We enjoyed our stay so very much! Joseph got us to a great start and we loved having so many sights within walking distance. We quickly started referring to Corent as home and wouldn't change a thing about our stay! Many thanks!" "Second time we stayed at the Corent. Another great time in Paris and the apt. 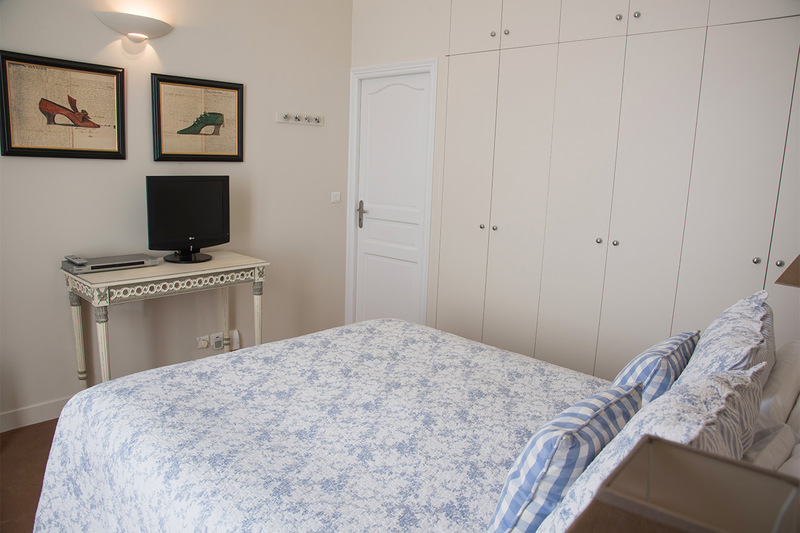 It is so comfortable for 6 guests and most importantly it is air conditioned and very near Rue de Bac metro stop. 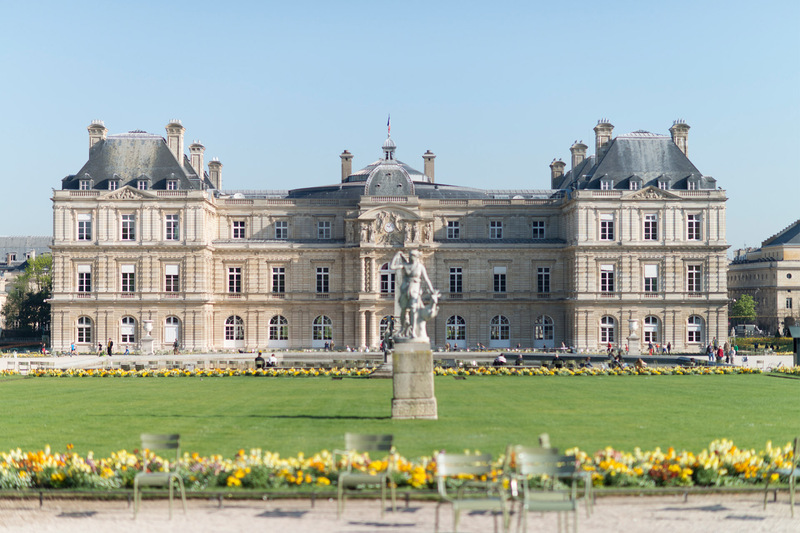 It is very central to most of the city which opens many opportunities for seeing and enjoying the Paris..."
"Our family had a wonderful week long trip to Paris. The location of the Corent apartment was ideal for many reasons. We found that staying in this neighborhood introduced us to many small stores for food shopping, walking distance to everything, access to the metro and a better sense..."
"The location was perfect and the apartment was very comfortable. We have stayed in larger apartments before but the Corent is sufficient for 4 people and located in a great neighborhood. This was our third time renting from Paris Perfect and we would certainly recommend them highly." "We very much enjoyed our stay at the Corent. The apartment is very comfortable, exactly as pictured, the applicances are top notch and the building is in a delightful neighborhood within blocks of wonderful eating places from little cafes to fine restaurants. It was a rainey two weeks and since we..."
"We had the most fantastic time in the Apartment Corent from 1 - 14 March this year. The location is brilliant, just a short walk from the Louvre, Tuileries, Eiffel Tower, Notre-Dame, Ile de Cite etc etc etc We walked everywhere but the Metro is literally straight across the road from the..."
"Loved this little charm-quiet and great areas to walk around-good size bathrooms and bedrooms - I've stayed in 3 different apartments, all great!" "Loved the apartment! Perfect location!" "This was perfect - staying in this lovely apt. It was beyond comfortable, safe and pretty. We had everything we needed. Another memorable experience, will take back and treasure forever. Thank You!" 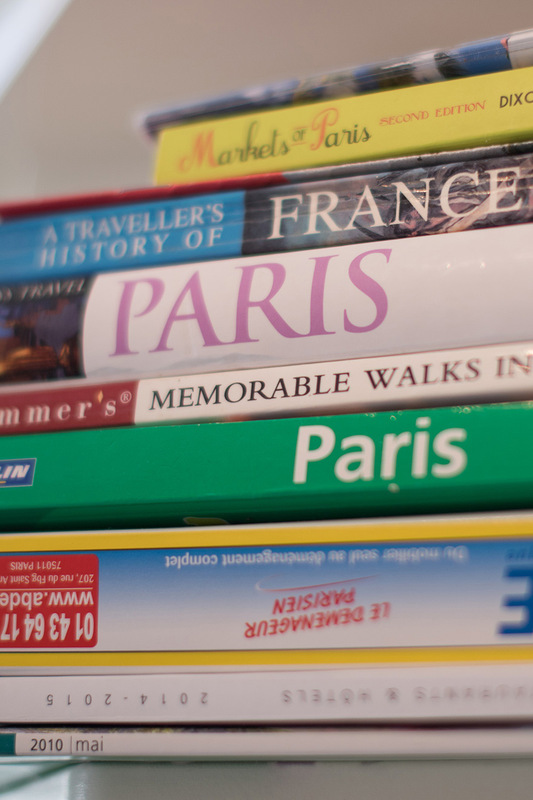 "We checked out a lot of options as far as our stay in Paris. We found the apartments of Paris Perfect to be far superior to anything else we looked at. The locations, modern updates and staff were better than a hotel or any other accommodations available through other sites we looked at. Your..."
"I loved Paris!!! Really liked exploring the area and seeing the monuments. I really liked this apartment and thought the beds were really comfy. 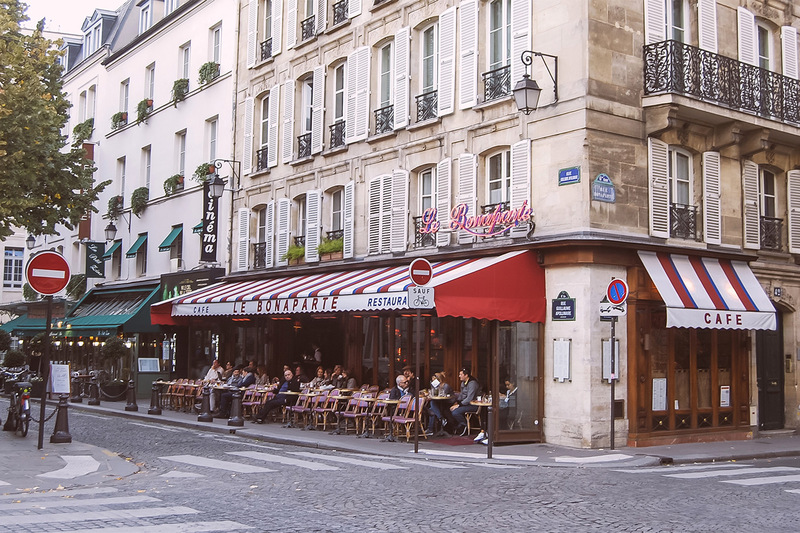 I also really liked all the restaurants around here (I would recommend Saint Germain down the street). I loved the museums too!! I loved, loved, the..."
"Comfortable apartment and great location from which to introduce our 14 yr. old granddaughter to the wonders of Paris. The most frequent word uttered by her was "awesome"!" "We've enjoyed our "first stay" in Paris immensely. 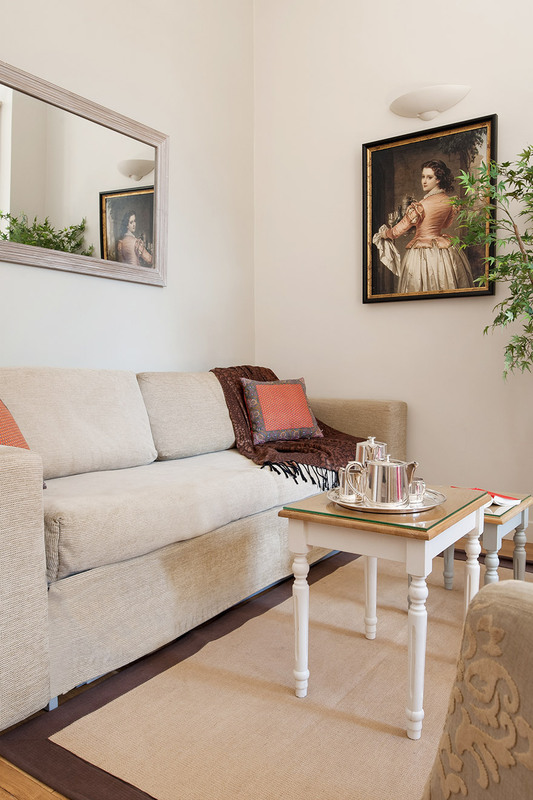 We loved the apartment, its location and proximity to wonderful cafes and adventures. Thank you to our greeter and his team for making our stay so easy. 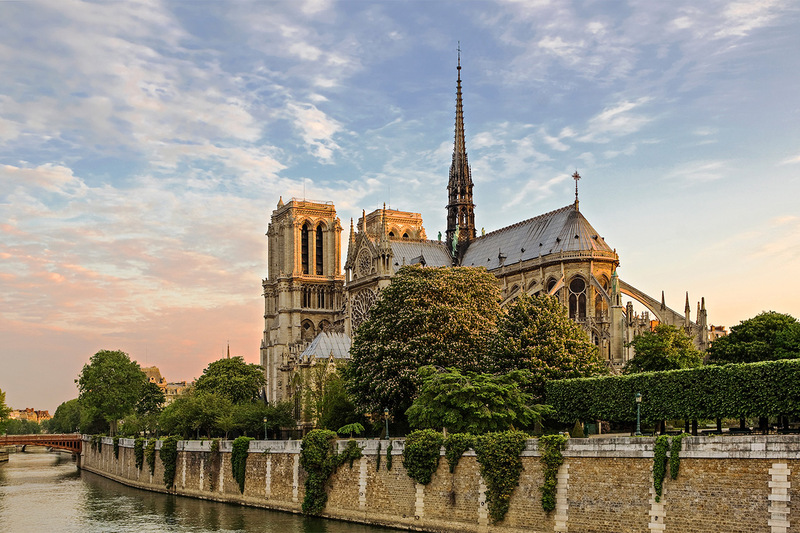 Paris is a special place, and we look forward to a return visit." "We had a magical stay in Paris. This was our very first experience here and we enjoyed ourselves immensely. This apartment is very comfortable and suited our family of five perfectly. We loved traipsing through the outdoor market on Raspail. Thank you Paris Perfect for making our vacation stay..."
"The apartment was really conveniently located to sights - clean and comfortable. Very professional staff and very enjoyable stay. Great choice when staying in Paris." 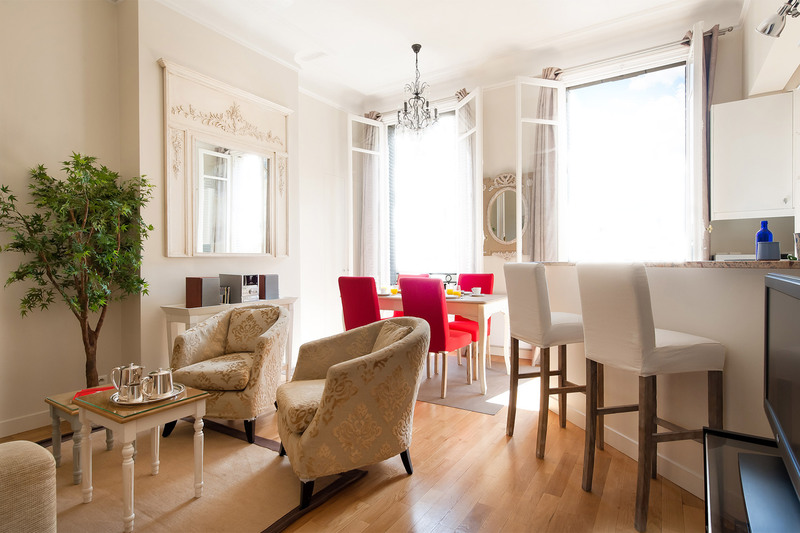 "We enjoyed our stay at the Corent apartment. 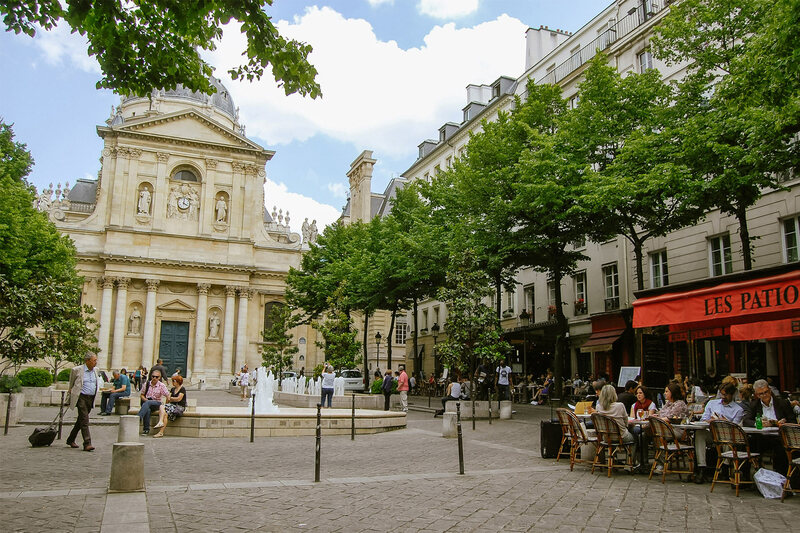 The area is ideal for exploring Paris and the Left Bank. Paris Perfect staff have all been kind and accommodating. The apartment was spacious and comfortable." 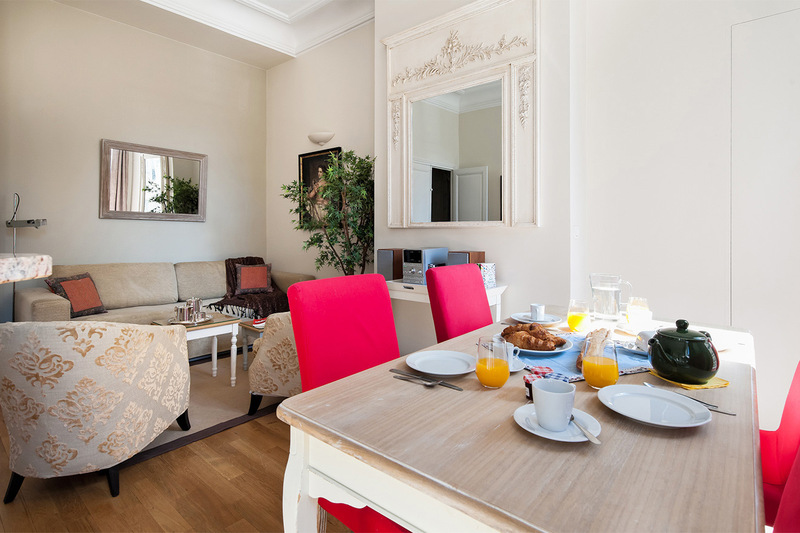 "Our stay at the Paris Perfect Corent apartment was absolutely fantastic. 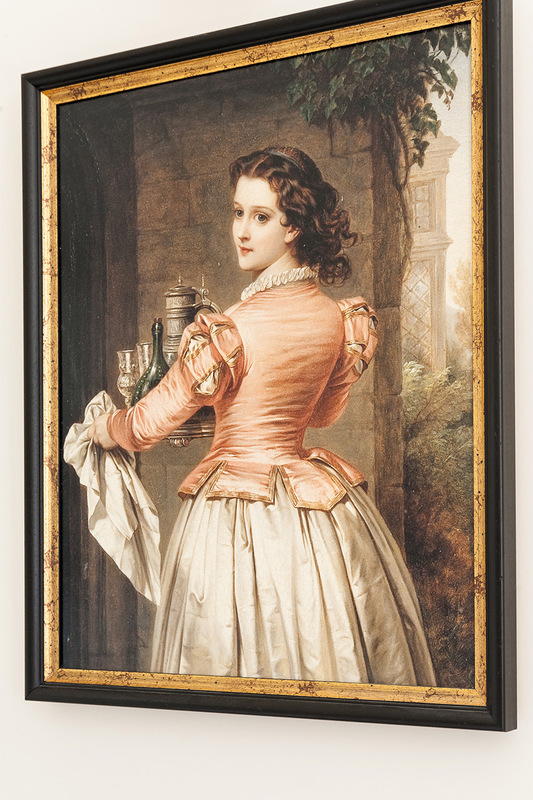 I am very particular about accommodations, and the Corent exceeded my expectations. It was large, bright, had a modern kitchen, pretty good bathrooms, and was nicely appointed. The building was beautiful, and our windows..."
"Lovely apartment and wonderful stay at Corent. We hope to come back someday soon." "We traveled to Paris - our first time - with brother and sister in tow; us from Martha's Vineyard and brother and sister from Park City, Utah. Apartment was perfect. Comfortable, well-equipped and a great central place to begin our adventures. Sidewalk cafes were what we..."
"To whom it may concern (and future guests), this was our second time using Paris Perfect for renting an apt in Paris. The locations are ideal for visitors - close to the metro and buses, restaurants and shops. The office is always available if you need help. Our greeter was very communicative while..."
"We had an amazing week in Paris. What a delightful apartment. It's very light and bright. The beds are comfortable and access to metro is right outside the front door. * Cooking with Class - great food and a lot of fun. 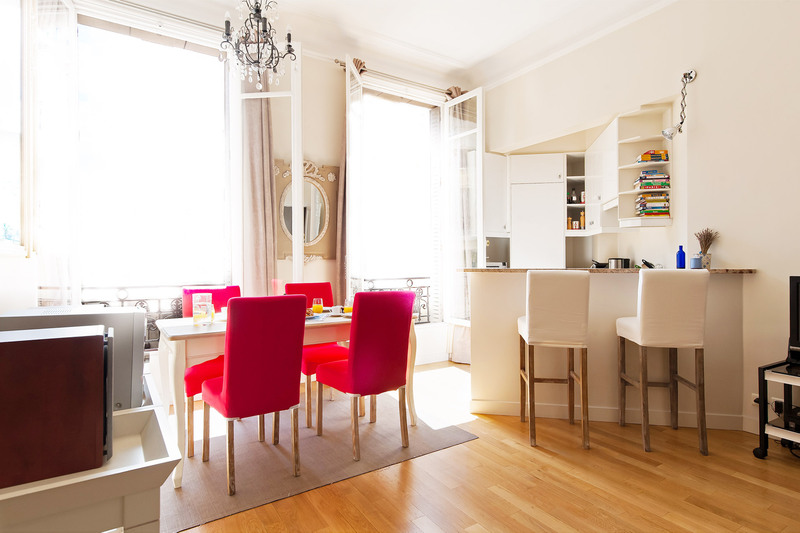 Can climb to Sacre Couer when..."
"A wonderful apartment in a perfect location. No better way to commence a new year. Bravo Paris Perfect. We are delighted clients and will return again." "We have had an absolutely superb time in Paris. Wonderful sights, wonderful food and wonderful weather! 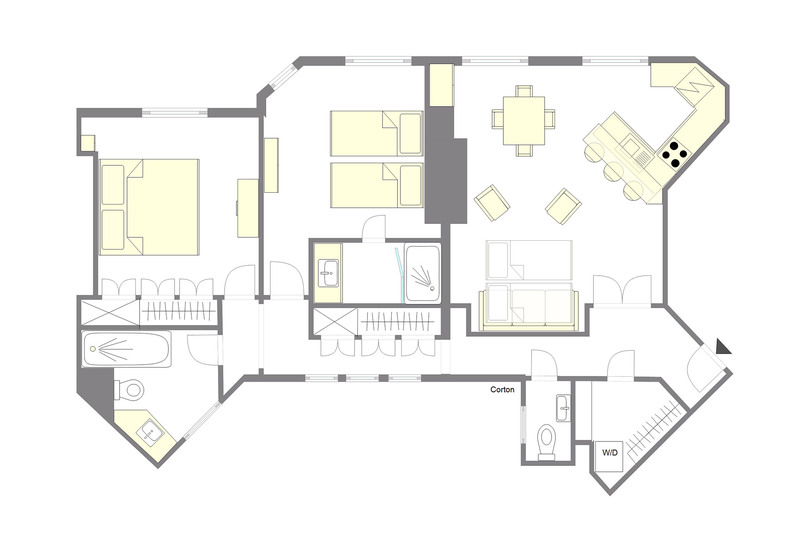 The apartment was great and in a fantastic position. Thanks to our greeter for sorting out any minor issue. We are sad to be leaving and hope to return in not too distant future." "6th Aarondissement is the best of all. So much to do. So much to see and all right at your door when you step outside of the Corent Apartment.. Everything as far as shopping, restaurants, and all the top tourist attractions as well as metro, bus, cab within walking distance. "My husband and I, and our two teenage children, stayed at the Corent apartment for a week while in Paris and Normandy. It was simply "Paris Perfect" in every way! 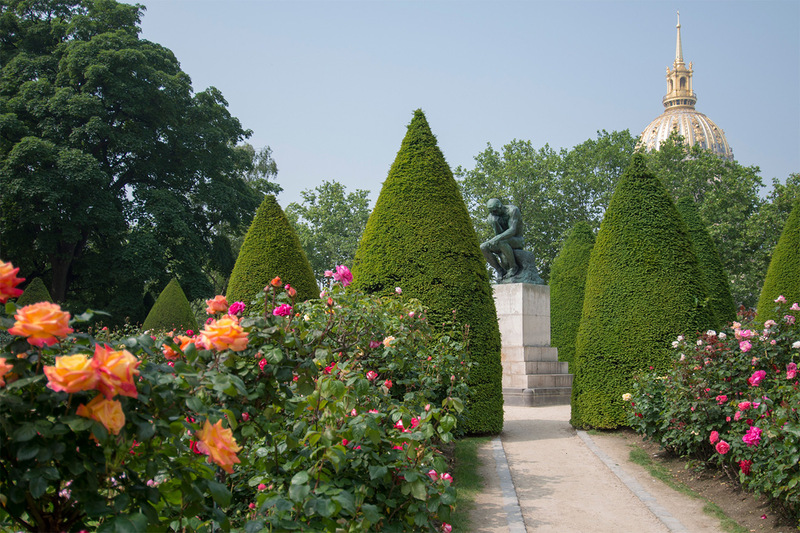 The location was unbeatable as we enjoyed our short walks to the cafes, grocery stores, Orsay museum, walks by the Seine,..."
"We thoroughly enjoyed our stay at Corent. The apartment itself is very comfortable and is in a wonderful location. 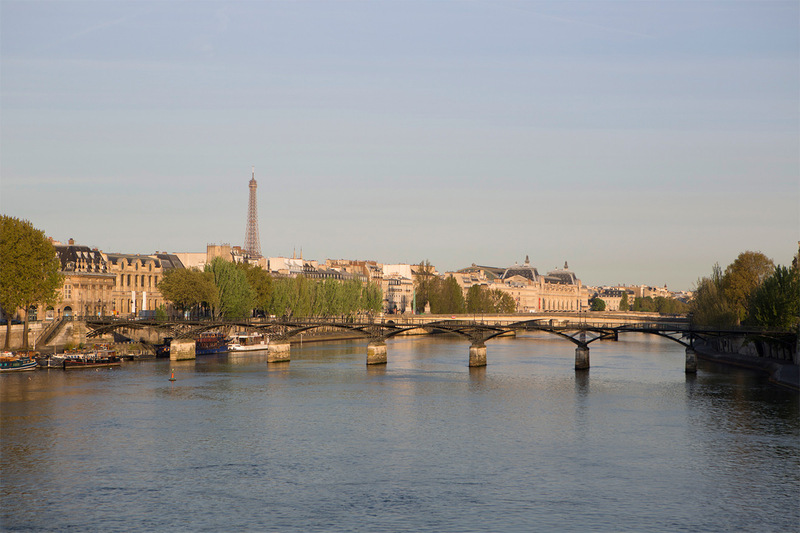 We picked this apartment specifically for the location as it gave us great access to not only the Left Bank, but it was an easy walk over the Seine to the Right Bank. There are food..."
"What a terrific apartment! The windows were tall and let in tons of natural light. The kitchen was efficiently designed and well stocked with tools. It even provided a Nespresso machine for single cups of delicious coffee. 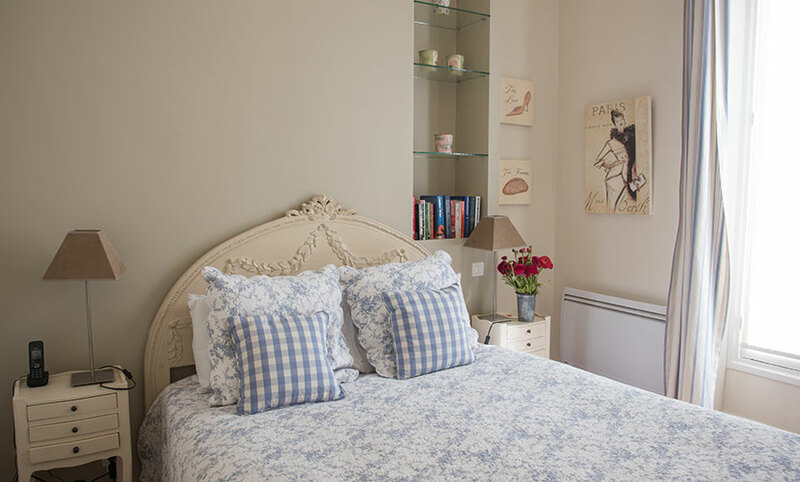 Each of the two bedrooms were spacious and the beds and linens were perfect...."
"The location is superb, by the wonderful Rue du Bac, a great vegetable and fruit store, many cafes and small shops. The apartment is located in a very nice building, quiet and well appointed. Highly recommended and would love to return." "This was our first trip to Paris and my wife and I shared our 2 BR apartment with our longtime friends. We are empty nesters who enjoy viewing the sites, relaxing, people watching, consuming good food and wine, and absorbing the culture. 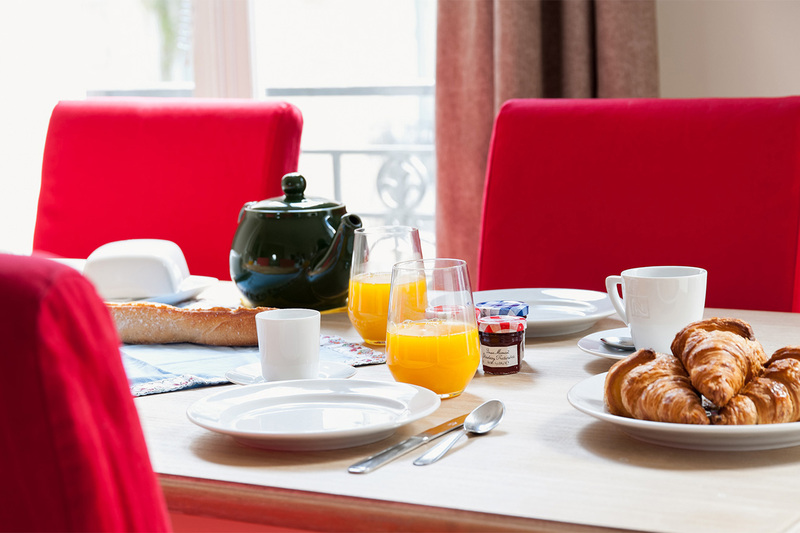 The information Paris Perfect provided prior to the trip..."
"Bonjour,we loved our stay at our Corent apartment in Paris and are keen to visit Paris again." "My family (husband and 17 year old daughter) could not have been happier with the Corent. We took the advice to use Victor for pick-up and everything went smoothly from there! We were met and introduced to this lovely apartment. Lots of nice extra amenities - welcome basket, nice towels, heated..."
"The charming, well-appointed, well-maintained and kid-friendly Corent apartment met all our expectations and more. The location in St. Germain was just perfect. Joseph, our greeter, was very friendly and accommodating. The entire team was very helpful and warm from the day we made our first inquiry..."
"The Corent Apartment was fantastic. The apartment was immaculate, comfortable, and spacious. Plenty of room for me and my wife, with two teenage girls. The apartment is in a beautiful neighborhood, just steps from the Metro, and with in walking distance of great restaurants, markets, and shops. 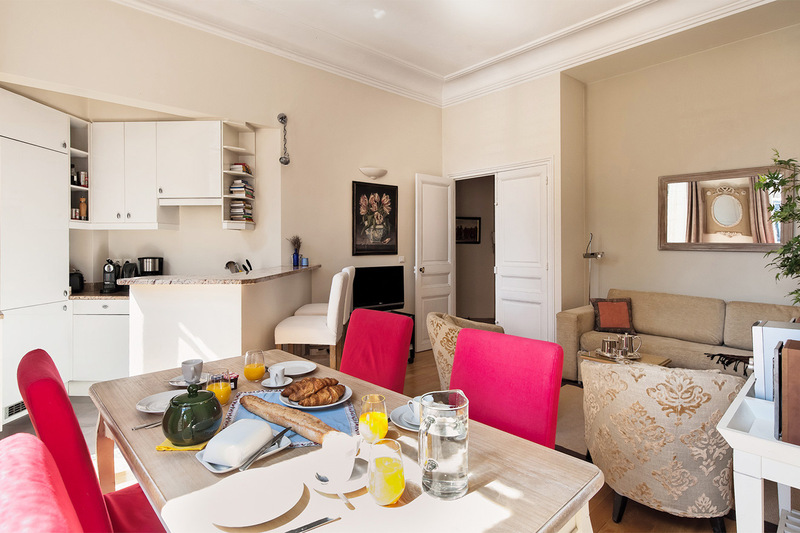 ..."
"This was our third stay in a Paris Perfect apartment and our second in Corent. We enjoyed the apartment enough to sign up again for next year and have found that PP has considered virtually every wish we might have made. Nothing was lacking and if we needed any help with anything at all PP was..."
"Corent was perfect. First of all, location, location, location! However, with 5 of us the accomodations were perfect. From the perfectly stocked kitchen to the great closets and washer and dryer we had everything we needed to be 'at home'. Someone has obviously put a great deal of thought and..."
"Thank you for the Corent Apartment and the wonderful week we had. The apartment was everything advertised - and more. What a great place with plenty of room for a family of 6 adults in a safe and beautiful neighborhood. And with the metro just steps away, everything is so easy to get to. Glad we..."
"4 of us spent 10 nights in the Corent apartment, one couple and two single ladies. We were all thrilled with the accomodation. The apartment was even better than what was presented on the website with luxury bedding, sparkling bathrooms and all the modern conveniences. We were able to walk to most..."
"We very much enjoyed our stay at Corent which was very comfortable and close to all the places we wanted to visit. Thank you for including us in your loyalty program. We would certainly recommend ParisPerfect to friends visiting Paris. 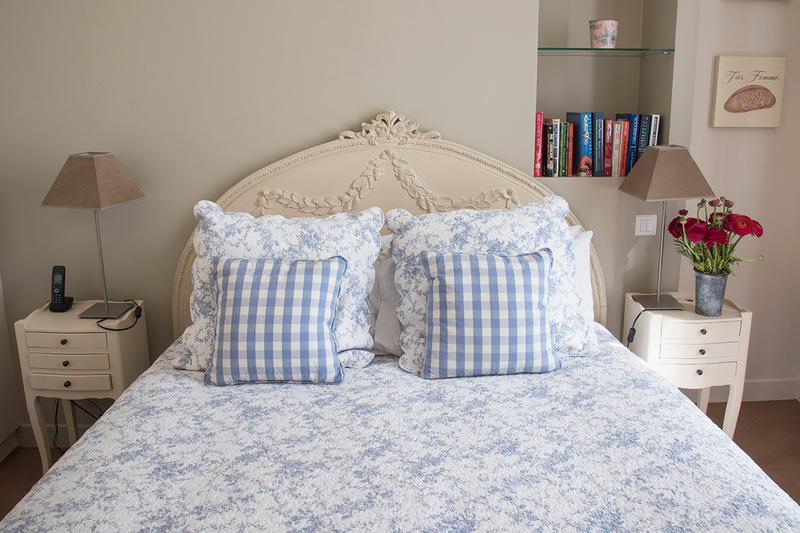 We have been to Paris many times in the past but..."
"We arrived at the Corent Apartment after having spent 2 fabulous weeks at the London Perfect Cornwall Apartment. Joseph met us at the door. His tour of the suite and review of all the appliances was excellent. The apartment was spacious, clean and well stocked for all our needs. It was exactly as..."
"Our stay at Corent was wonderful. We so enjoyed the French flair of the apartment building including the authentic elevator and spiral staircase. The location was fabulous with the Rue de Bac metro right outside our door. Not to mention what became our favorite patisserie around the corner. It..."
"The materials sent to us were super helpful. The recommendation for the car service form the airport worked great. All of the communications were organized which made things much easier. We were met at the apartment and given a helpful tour, information on all of the appliances, where..."
"We were delighted with the apartment. Impeccably clean and very attractive - on arrival. 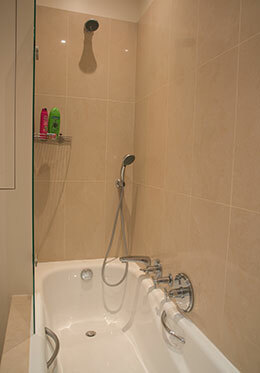 Bathrooms great plenty of hot water and good showers as well as a bath. 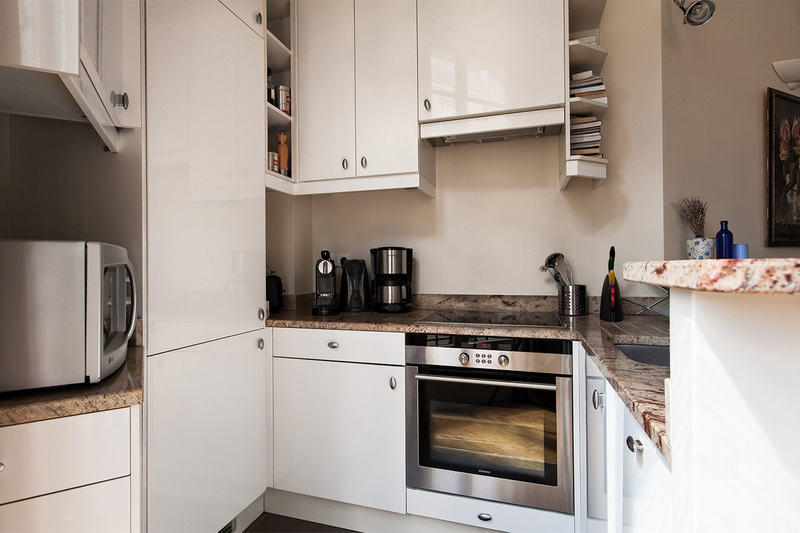 The layout of the kitchen/living/dining areas - all in the one room may not be what you would choose at home - but on holiday it was ideal..."
"Dear Paris perfect, our stay with you was a very positive one. 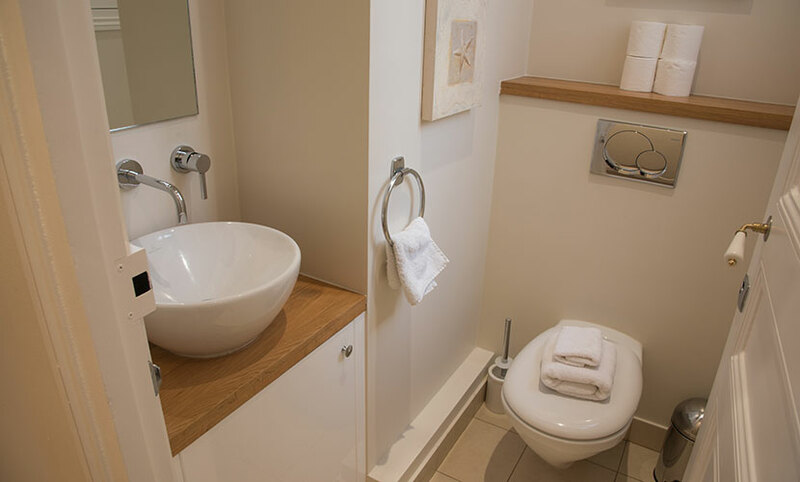 We were very happy with the apartment which had everything you need to feel at home - comfortable beds, useful and new kitchen gadgets, good washing machines, excellent heating and lovely decoration in all the rooms. 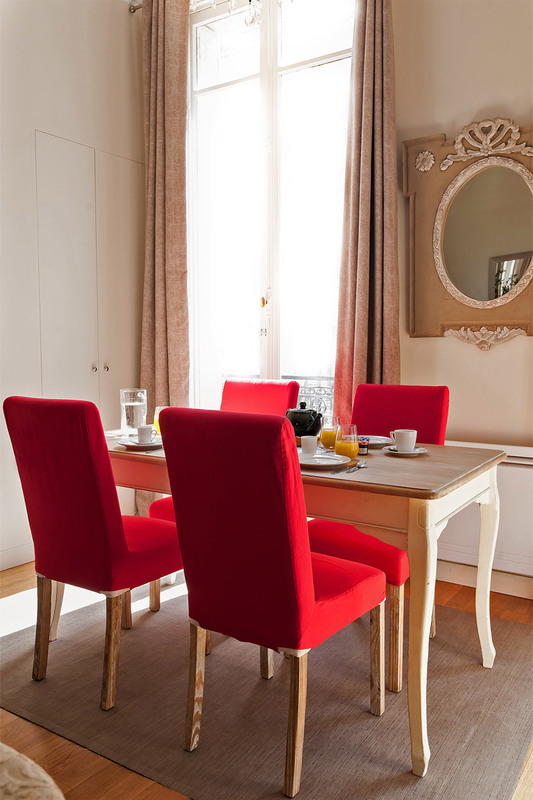 "Our Paris Perfect apartment exceeded our highest expectations and so did the support of the staff. The apartment was stocked very well including plenty of products and information at our finger tips. Our apartment held I believe 15 books on Paris. 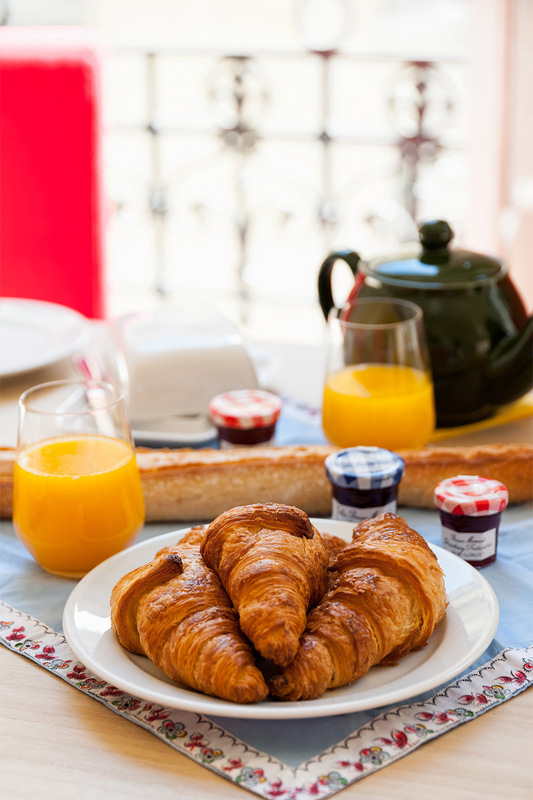 From the welcome hamper, to the first contact..."
"Renting an apartment is the only way to stay in Paris! The Corent apartment bordering the 7th and 6th was the ideal location for our one week in Paris. It is centrally located and within walking distance to most of the major sites. We'd bring back croissants and baguettes every morning for..."
"Excellent time. Very good location - velibs, Batobus, Louvre, St Germain. Clean, everything worked. Might have been helpful to explain that AL on the a/c means you need to empty the water, but we worked it out." "The apartment was very charming and comfortable. Would stay there again." 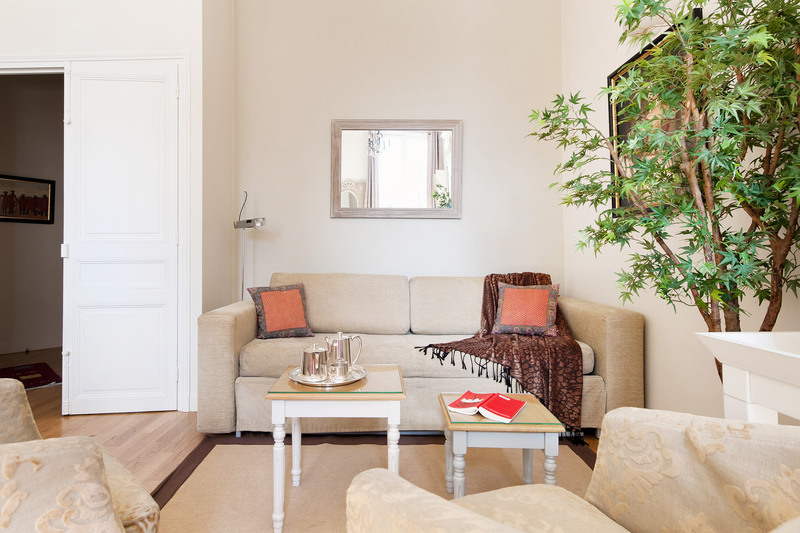 "Our stay at the Corent apartment was just perfect. Your company really knows how to make weary travelers feel welcomed and at home. The apartment was very well equipped, clean, and decorated beautifully. The linens were great too. We really appreciated the welcome basket with juice, milk, wine,..."
"We loved the apartment (really comfortable beds!) and found it really convenient to metro and shops. Paris was beautiful and we will be back. A bientot. "Thank you so much for making our family Christmas vacation a perfect experience. 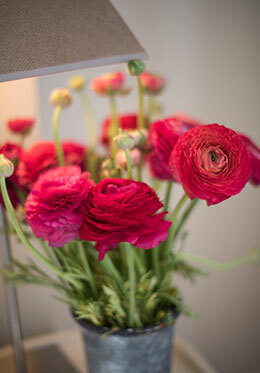 We love Paris and this apartment, and look forward to being able to return soon." "Thank you so much for a wonderful stay! We ate too much fromage! Drank too much vin rouge and generally over indulged. We could not have enjoyed our trip more. This has to be the best location in Paris! We will be sure to come back to Corent soon!" 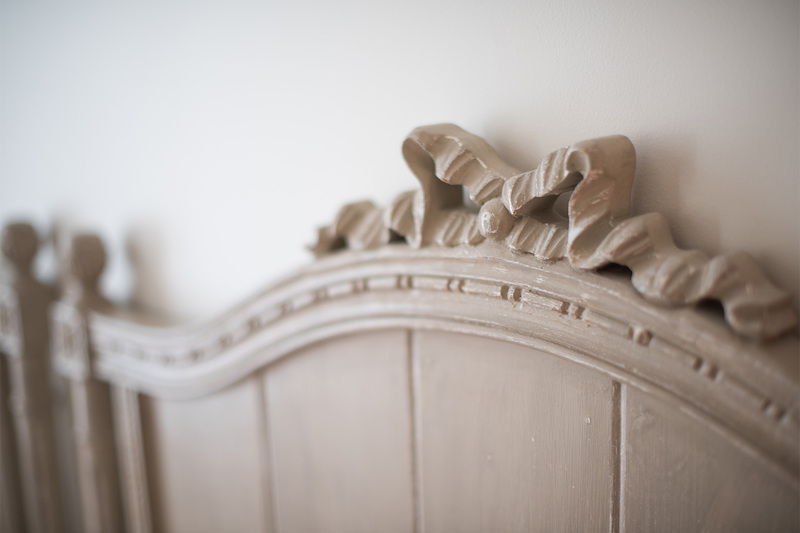 "France is simply enchanting and we are so glad we made the decision to billet ourselves in your beautiful apartment. 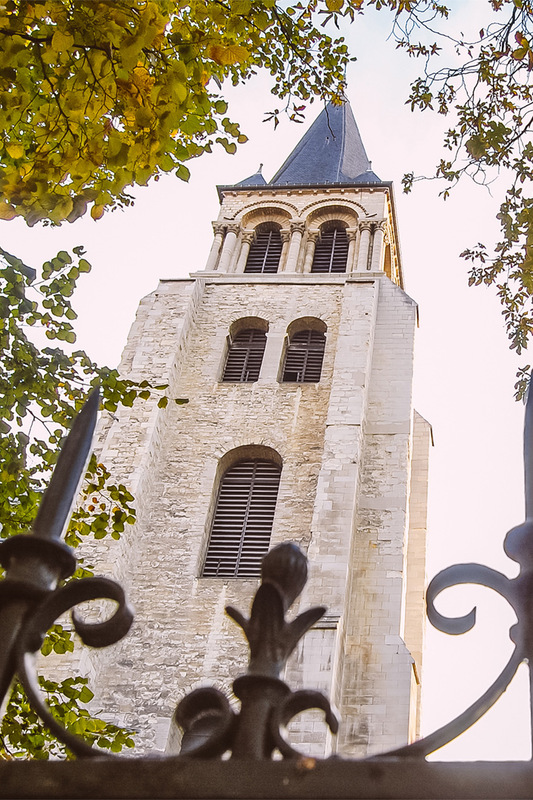 It was everything we thought it to be and more: perfect location (central to everything while situated in a quiet neighborhood), well though-out amenities (the small things like..."
"The first time in Paris for our children and what a beautiful home to base our daily excursions from. Great location in our favorite neighborhood. Hope to be back soon!" "Thanks for an excellent Christmas and New Year's vacation. Corent apartment is perfect in location and layout. Hope to see you again soon." "We've had a wonderful week in Paris! What a lovely home to return to after miles of walking, shopping, and sightseeing. The neighborhood is so charming and very central to everything. We look forward to making a week in Paris a regular event!" "My wife and I stayed in the apartment with our two daughters (5 and 7). The apartment really was perfect! It was charming, had a great location and view, and was stocked with everything we needed. It is very easy to get around from there and the neighborhood was great. The information packet with..."
"As always, we enjoyed our stay in Paris and found the apartment to be the best we have rented. It is so well equipped and offers such "at home" comforts that we invited Parisian friends for dinner two nights of our stay. We knew the location would be superb but we were pleasantly..."
Set in the 6th arrondissement; this neighborhood is wonderful! 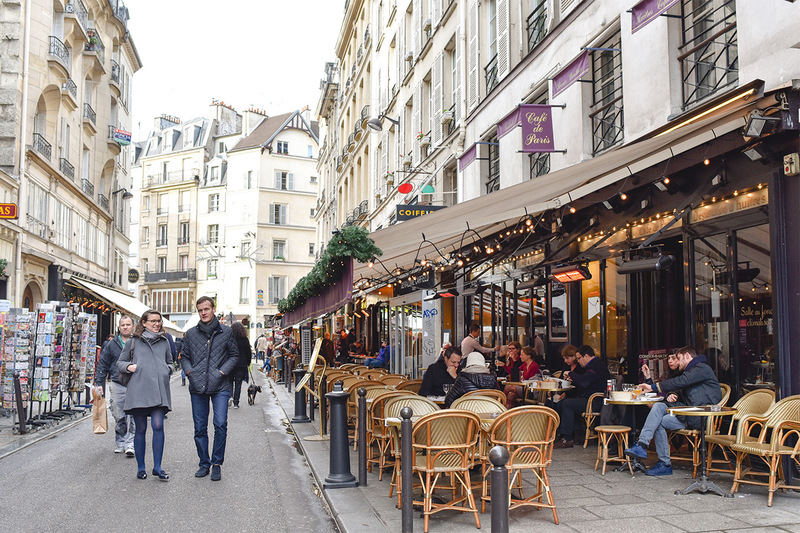 Find a gourmet open market a few blocks away, chic shops of the left bank designers and of course, tons of wonderful bistros, cafés and restaurants. 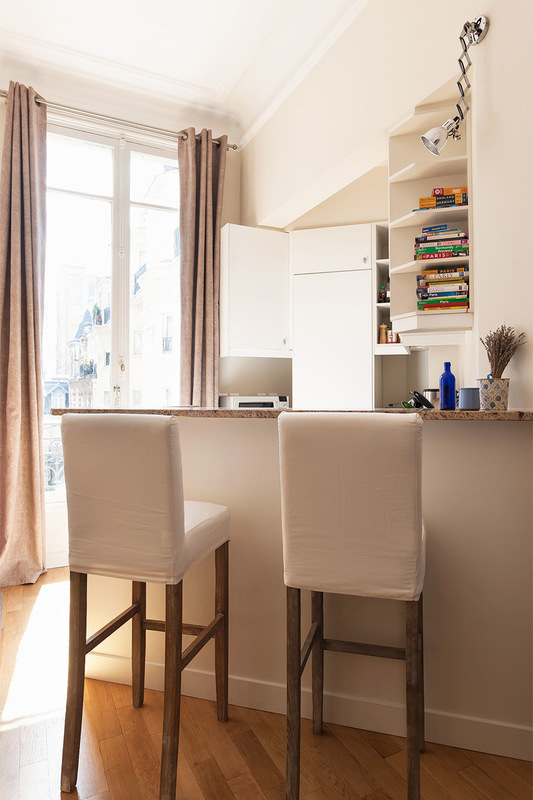 This beautiful apartment overlooks the pretty rue de Luynes with its Haussmanian buildings and a small cul de sac and chic ‘maison particuliers’ across the street. 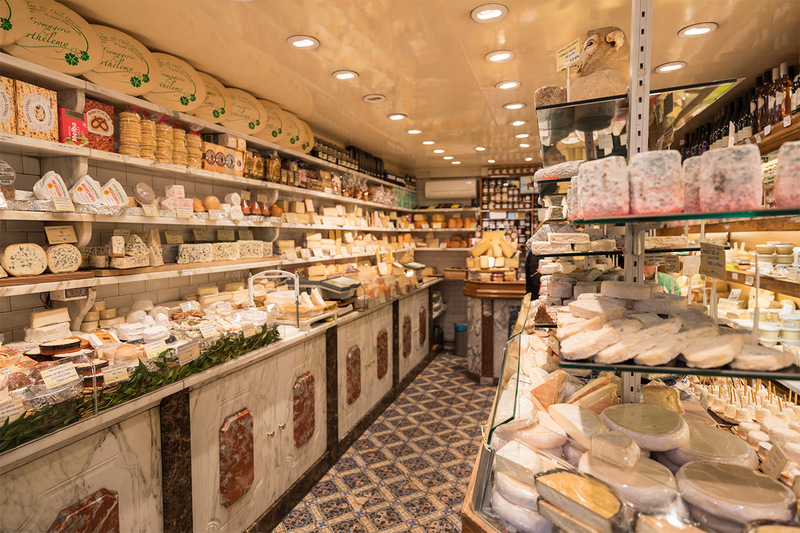 Fantastic food stores in the neighborhood, from the Le Bon Marche food halls (6 min walk), to the open market on Blvd Raspail, to the many food stores on rue du Bac across the street. Metro: rue du Bac (1 min). Sunny St Germain apartment with soaring 12 foot ceilings! Save time and money eating at home! The perfect place for lively conversations! 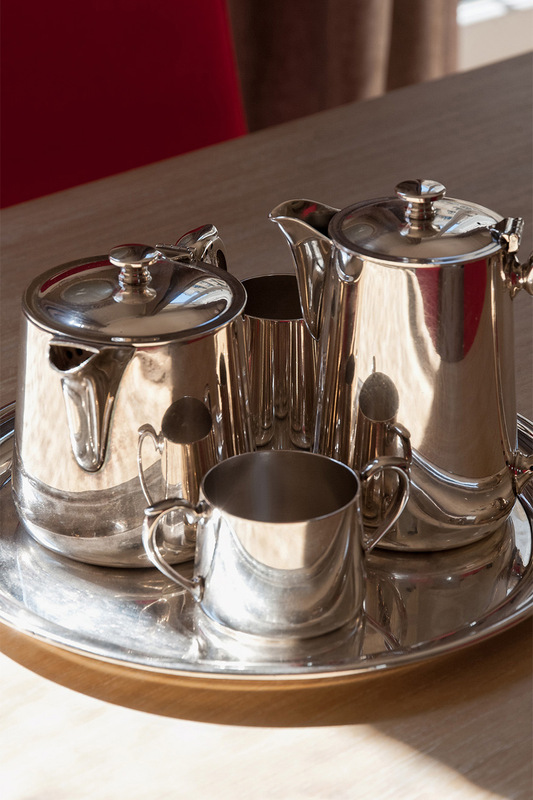 Glistening silver tea service to impress your guests! 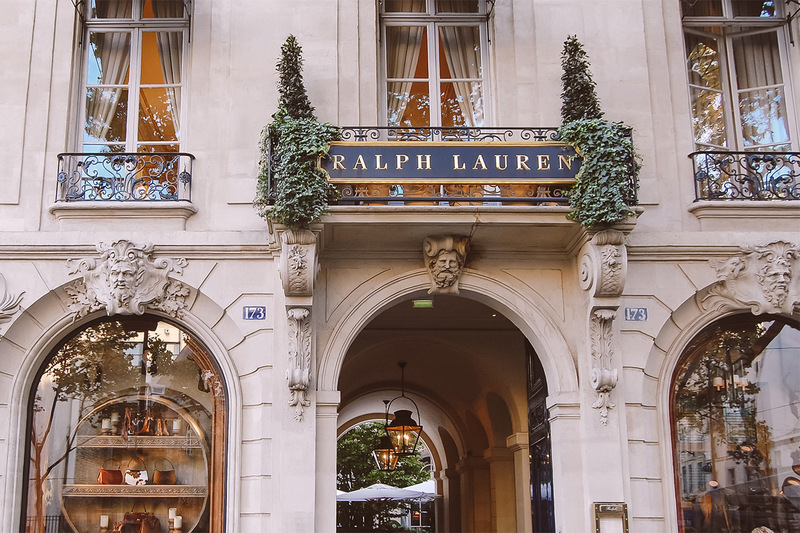 The neighborhood has some of the best boutiques in Paris!